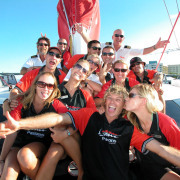 Passions of Paradise is Cairns most awarded small tour operator. Having recently won the Queensland State Tourism Hall Awards Hall of Fame for Adventure Tourism, and an Australian Tourism Award winner you can be confident you are in great company. Passions of Paradise is also awarded as a Climate Innovator with Eco-Tourism Australia. 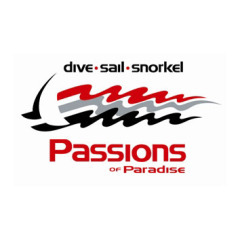 Passions of Paradise have made significant progress towards reducing their carbon and environmental footprint. 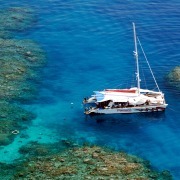 Passions operates a modern, purpose built 25 metre maxi-sailing catamaran that can carry up to 80 passengers. Travelling on a daily basis, special permits allow guests access to Michealmas Cay, and exclusive access to Paradise Reef, away from the crowds. "This was a well organised excursion with professional friendly staff. The facilities were excellent with safety paramount. The buffet lunch was good and the crew very informative. Good value for money."